Do you wish to have an extra income opportunity at your leisure? Are you interested in a stress-less job where you earn ₦15,000 monthly on every 5 clients you provide for our services: Home Health & Social Care, Medical Tourism. Are you a physician or nurse and can suggest our services to your client? You also stand a better chance of winning any of our gifts such as: Gas Cooker, Electric Iron, Electric Kettle, Smartphones and many more during our quarterly Referral Sources GIFT AWARD. 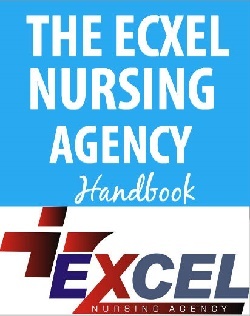 Become a referral source for THE EXCEL NURSING AGENCY Home Health Care & Medical Tourism Services and earn extra income and gift rewards. Medical Tourism Facilitator: we facilitate treatment and healthcare in our partnered hospitals abroad. For details visit Medical Tourism Facilitator Service. 2. After informing your referee follow up on them to partake in our services. 3. Keep close tab on your clients. 4. Frequent communication with our Agency to ensure we have your referrals. 5. Send your bank details after our Agency must have confirmed your clients and you get your pay immediately. We build and maintain relationships with these companies and organizations. Fill the application form below and one of our representative will contact you as soon as possible.